The island of Java is all about exotic place. For you who want to miss Bali Island for the upcoming vacation in Indonesia and need the best alternative, heading to Java Island will be a good choice. Among so many attractions in Java, East Java has Mount Bromo that is worth checking for. For you who are interested to experience the highlight of East Java, there is actually Bromo Ijen tour which is so much popular nowadays. But for now, we are going to focus more on the fun things to do near Mount Bromo. So, let’s get started. Pananjakan Hill has become a well-known spot to watch wonderful sunrise view with Mount Bromo in the fram. Located 2,770 above the sea level, it takes you courage and struggle to reach the location. • The highlights: The best spot to watch sunrise. • Tips to visit: It is recommended for you to leave early in the morning so that you can get the best viewpoint on the summit. You can opt for weekdays visit since it is considered less crowded. When you are around Mount Bromo area, it will be bad to miss the Savana Bromo or known as Jemplang Valley. This location is usually included in a tour package. • The highlights: The savanna offers such extraordinarily beautiful sight that will bless your eyes. • Tips to visit: Don’t forget to carry your camera because it will be such a great spot to take beautiful photos with greenery surrounding. 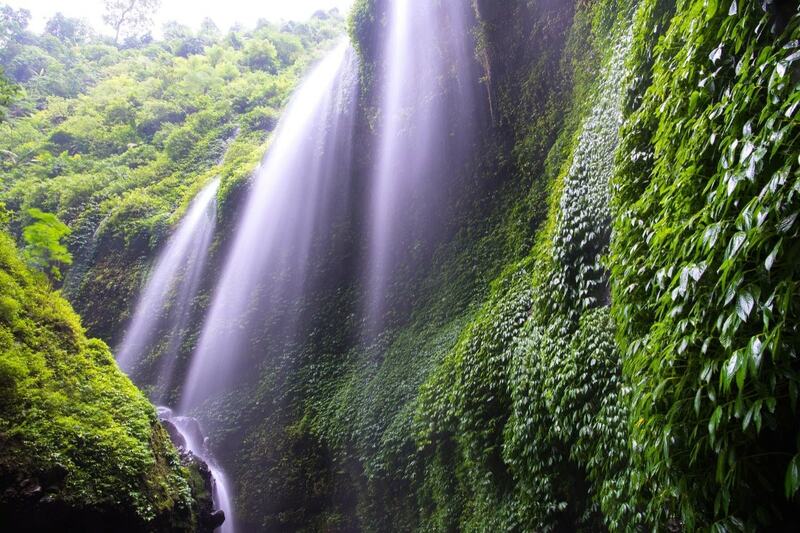 If you are joining Bromo Ijen tour, it is possible that you will visit this waterfall in between the two highlights. The waterfall is located under the Mount Bromo’s foot. • The highlights: The waterfall offers such stunning view that will help you to get relaxed after such a tiring journey. • Tips to visit: You can consider arranging tour in weekdays to visit this waterfall since it is usually packed with both local and foreigners in weekends. It will be another best getaway that you can do near Mount Bromo. Hunting for the best spots in Bromo at night and you will be able to see that stunning milky way. • The highlights: It offers such perfect and interesting view of Milky Way that will keep you in awe. • Tips to visit: It is recommended to visit during the dry season to get the best view of the Milky Way. You need to have a good calculation too so that you can come when there is no clouds to get the most of the view. Those are such interesting things to do, aren’t they? If you need any help to get the most of your trip in East Java especially for Bromo Ijen tour, you can simply visit www.jogjabromotour.com to discover the best tour package that suits your need. Good luck!